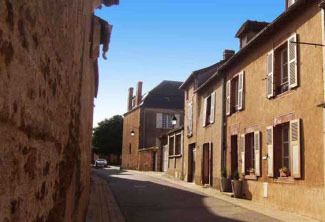 Chaillac Bed and Breakfast is just a few miles from exit 20 or 21 off the A20 Paris – Toulouse Motorway. Matthew and His rescued Border Collie Bob welcome you to our warm and friendly Bed and Breakfast In the Heart of France. Our village house that used to be the staff accommodation for the 15th century château has been sympathetically renovated keeping the old world charm but with all the modern comforts you will need. The picturesque market village of Chaillac has plenty to offer visitors; the beautiful Lac de Rochgaudon, just 5 minutes walk from the house, comprises two large lakes both excellent for fishing, permits are available in the village and cost €18. The village has a lovely old church, two café bars, an excellent restaurant, bakery, butcher and pharmacy all based around the village square, which on a Wednesday is the site of a small market. At Chaillac Bed and Breakfast we can offer a choice of 4 guest bedroom options. Being a top chef before moving to France we can provide you with a great 3 course dinner for only €18 per person.